Jerome A. (Jerry) Wagner Jr., 78, formerly of 640 Russell Rd., Sidney, Ohio died at Deupree Terrace Retirement Center in Cincinnati, Ohio on Tuesday, March 20, 2007 at 1:10 PM. He had been a resident of Douglas, Michigan since 1992. He was born March 18, 1929 in Cincinnati, Ohio the son of Jerome A. Wagner Sr. and Mary Julia (Hummel) Wagner. He attended Holy Angels Grade School, graduated from Campion Jesuit High School, Prairie du Chein, Wisconsin and Xavier University, Cincinnati. On September 9, 1950, he married Marianne Castellini, who died on February 17, 1999. He was preceded in death by his brother, Robert H. Wagner. Surviving are four children, Jerry III and wife Karen of Ida, Michigan; Paul and wife Christine of Cincinnati, Ohio; Steve and wife Cheryl of Sidney, Ohio and Mary Ellen (Wagner) Slover of Cincinnati; grandchildren, Jill Wagner, Julie (Wagner) and husband Brad Cotterman, Chris, Jon, Tony and Colleen Wagner and Jessica Weigand; and one great-grandchild, Cody Carr in addition to numerous nieces and nephews. 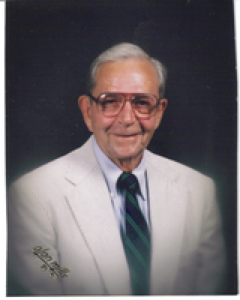 Mr. Wagner was a member of St. Peters Church of Douglas, Michigan and the Knights of Columbus. He was the owner of Wagner Ford Lincoln Mercury from 1953-1971. He joined Bank One, then Citizens Baughman, in 1971. Wagner rose to president by November of 1975 and was also named chief executive officer in January 1976. He retired as CEO and president on January 1, 1990 when he became chairman of the board. Mr. Wagner was a member of the Bunker Hill Preserve near Sidney. He was a former member of the board of directors of the Sidney Chamber of Commerce and served as president in 1965. He was a past board member of the Piqua Country Club. In retirement, Mr. Wagner relocated to Douglas, Michigan where he volunteered his time and experience to SCORE, serving on various committees for St. Peters church and was recently recognized for his work and dedication as a valuable member and asset to the community of Douglas, Michigan. He served as a Charter Commission chairperson, a member of the Village of Douglas Planning Commission, Charter Commission and personally delivered the proposed new city charter to the Governor of Michigan. Mr. Wagner was also a member of the Cow Hill Yacht Club. In Sidney, Mr. Wagner was a member of Holy Angels Catholic Church and served on the Parish Council and Finance committee. A Mass of Christian Burial will be held on Saturday, March 24, 2007 at 10:30 AM at Holy Angels Catholic Church celebrated by Rev. Gerald Bensman and Rev. Jack Beckman SJ. Friends may call at Salm-McGill and Tangeman Funeral Home on Friday, March 23, 2007 from 3-9 PM. Memorial contributions may be made to Holy Angels School Endowment Fund, 324 S. Ohio Ave., Sidney, Ohio 45365; Peter&#39;s Pense Religious Library, 209 N. Ohio Ave., Sidney, Ohio 45365 or the Lehman Catholic High School Foundation, 2400 St. Mary&#39;s Ave., Sidney, Ohio 45365. Envelopes will be available at the funeral home.